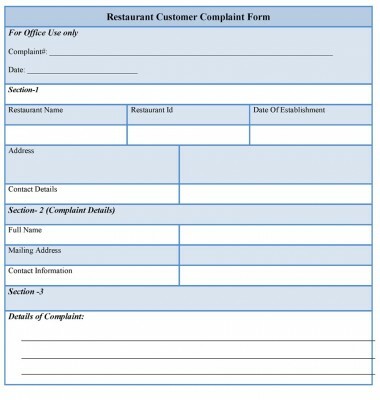 A restaurant complaint form addresses issues regarding a complaint of a particular restaurant. Such forms mainly are used to record the complaint and are submitted with organizations that help to take necessary action against the restaurant authorities. The nature of complaint differs from one customer to another and according to the quality offered by the restaurant etc. 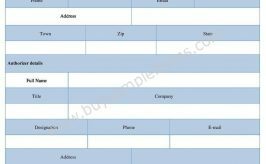 These types of forms also help the restaurant to know the areas where it needs improvement. The form should include the general parameters of complaint that a restaurant customer can make. The form contains the name of complaint holder, address and contact number, details of the complaint (food quality, manager behavior, money matters, illegal activity etc.). 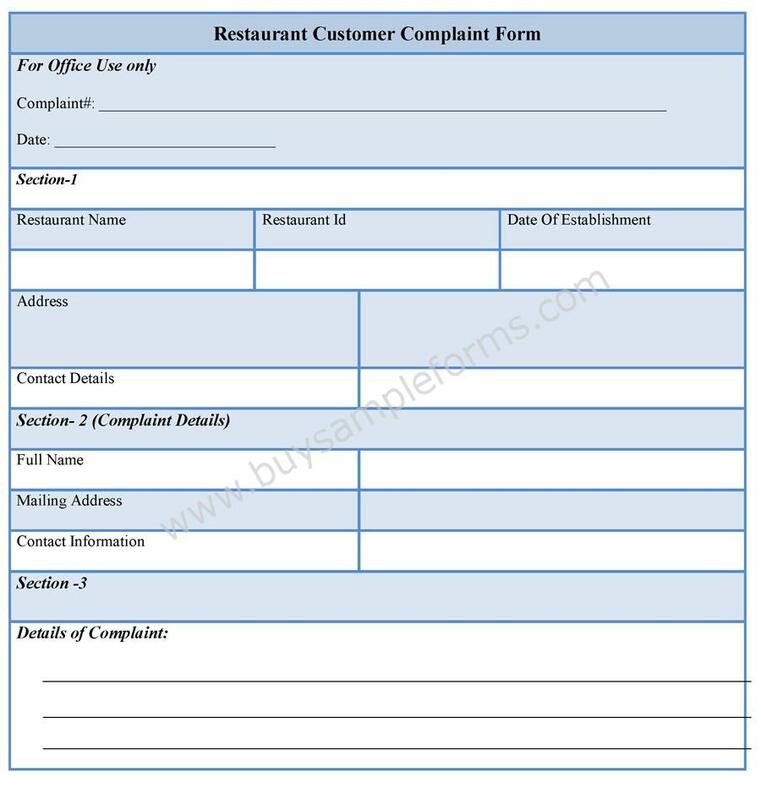 Use the printable Restaurant Customer Complaint template available online. Download it either in MS Word or PDF format. Both MS Word and PDF format can be edited and customized as per your needs.